Posted by #2JBrumfield on Friday, June 10 2016 @ 01:02 PM EDT. 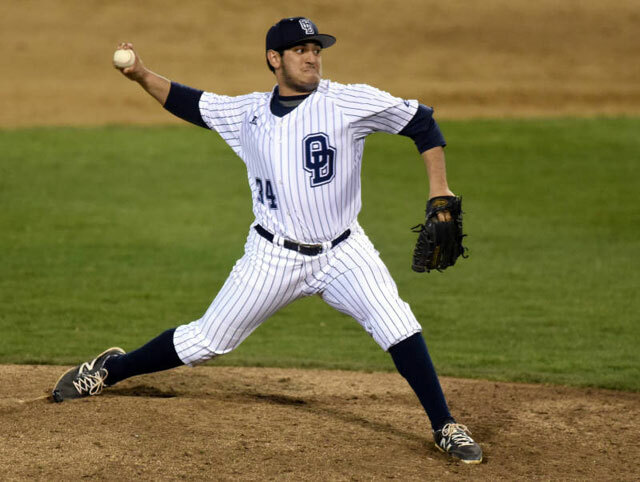 The Blue Jays pick pitcher Zach Jackson. 12 years later, history repeats. Not to worry, this ZJ is right-handed. As for her husband the first time he opens his clam to me I will haul off and bust him one in the jaw but I guess he will know more than to start trouble with a man of my size and who is going to be one of their stars while he is just holding down a job because they feel sorry for him. I wish he could of got the girl I married instead of the one he got and I bet she would of drove him crazy. But I guess you can't drive a left-hander crazyer than he is to begin with. Yogi Berra and Ring Lardner in one day. I'm feeling good! SI had zach as one of the top 5 guys available on day two, but provided no details. "First round stuff + fifth round command/control = ultimate third round landing spot?" They also added this enticing nugget: "I don’t think this college class has a pitch better than his curveball at its best." You can watch the video on MLB draft tracker to get a pretty good sense of the break and velocity of that pitch. More velocity than a curveball, more break than a slider. It is very impressive if he has any control of it; the control does come and go. His mechanics are, um, unique. I don't see him as a "fast mover". It might happen that he gains consistent control suddenly (as happened with Sam McDowell famously), but counting on that is not a great idea. I wonder if the club sees him as a straight ace relief prospect or as a relief-to-start conversion project. I haven't yet seen the video of Jackson's curve, but I like the sound of that. I think people can sometimes get overly excited about one good trait to the detriment of the players who don't have the extremes but have more consistency in these rounds, but there's something to dream on with a pitch like that and some degree of consistent control. Even if he doesn't have anything else other than a fastball. 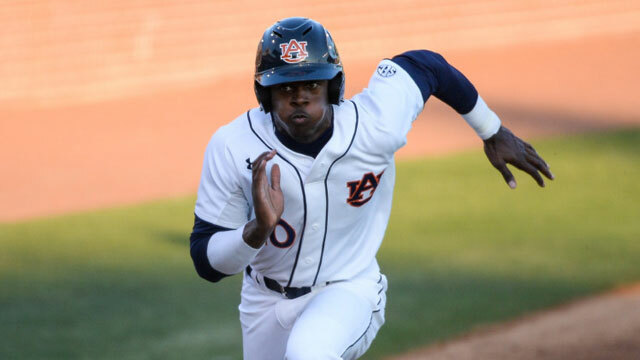 CF Joshua Palacios is the next pick. 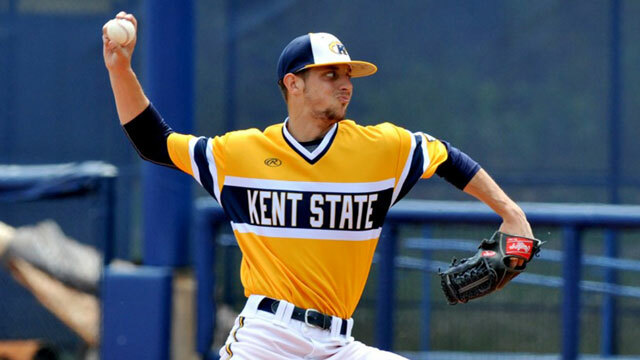 Drafted by the Reds in the 31st round out of HS, he went from a Juco to division I this season. Good example of why some kids are better off going to college! Joshua Palacios is their 4th round pick. 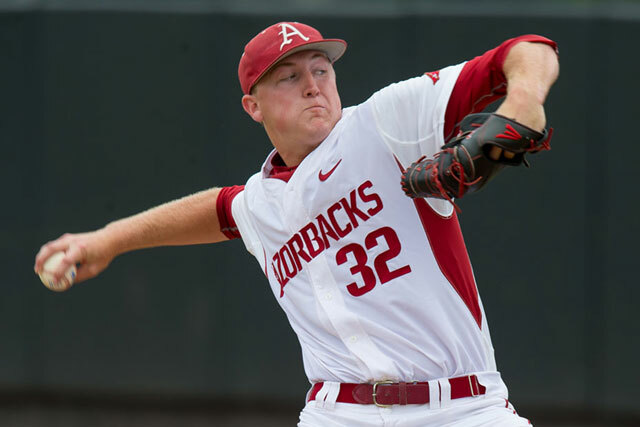 He more than held his own in the SEC at age 20 until a wrist injury in April. He sounds like a Ben Revere type although not quite as fast. 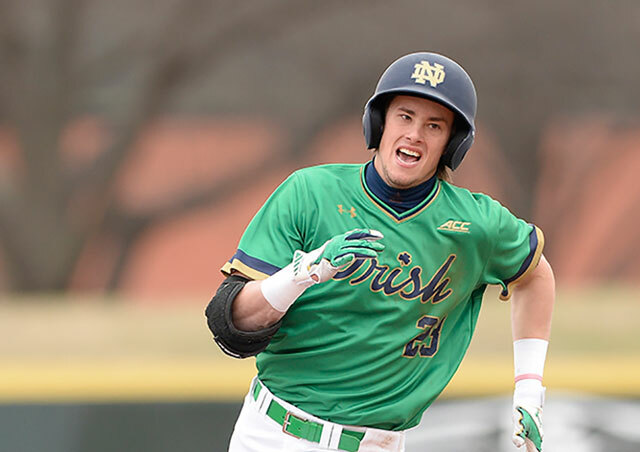 Cavan Biggio was drafted in the 5th round. He's a second baseman who walks a lot and gets hit by pitches a lot. Hmm, sounds vaguely familiar. Palacios, by the way, is the nephew of Rey Palacios. I'll grant that it isn't the same as being the son of Biggio or Bichette. Bluebird Banter has this on Daniels: In the 6th round of the 2016 Draft, selected David (D.J.) 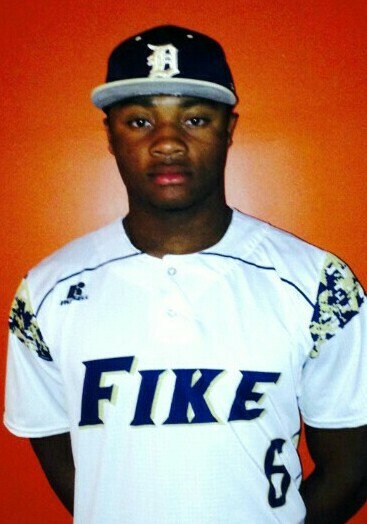 Daniels 192nd overall, a 6'3", 210 pound outfielder from David Fike High School in North Carolina. This pick is more typical of the Blue Jay playbook in recent years, as he's a off the board pick having not appeared on either Perfect Game's or Baseball America's top 500 lists, or even appearing on Baseball America's North Carolina state list which went 58 deep (25 in the top 500). He is a very accomplished football player, committed to James Madison University to play both baseball and football so safe to say he's an elite athlete with plus tools, which is something the Jays have focussed on in the draft. Ravel seems to be a slender, fast working college starter, with 4 pitches and a lack of velocity. Arizona drafted him out of HS in 2013 and he's only added 10 pounds since HS, bringing him up to 175. At 6 ft 1, hopefully he can add some muscle. Says he loves to pitch fast. Here's an interview with D.J. Daniels. A two-sport guy who also plays the piano. 4. 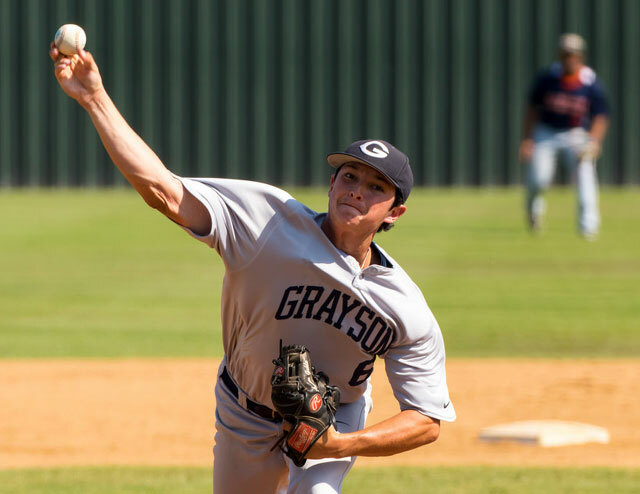 Kyle Weatherly, rhp, Grayson (Texas) JC: Weatherly will move to the rotation after a dominating freshman year as a reliever. Weatherly’s 92-94 mph fastball gets extreme run thanks to his low arm slot and he has a plus slider. But it’s the development of a potentially above-average changeup that gives the Louisiana State commit a chance to start. For the first 10 rounds signability is important and for the first 3 rounds high ceiling is also important. Rounds 11 and beyond are for 'what the heck' picks. Guys who have talent but seem reluctant to sign or who have one or two great tools and big question marks otherwise. Tellez was one of those 'what the heck' picks. Years upon years ago Jeff Kent was too as was Orlando Hudson. Those picks you normally need years to know if it was a useful pick but anything you get after round 10 is a bonus. I could see the draft being cut down quite a bit in the new MLB player contract next year. Maybe 20 rounds or something like that. Also teams will try to make it automatic money for rounds 1-10 I suspect - IE: if you are picked #1 overall you get $x and that is that. I like the fun right now where teams can use different strategies for picks do you punt rounds 4-10 to have more money for picks 1-3 and 11 and beyond? Do you overdraft guys in rounds 1-3 so you have more money for later rounds? AA was creative we'll see how the new crew is. Why would they cut the draft? Wouldn't that just bring in more international players? if they cut the draft, it would be nowhere near that drastic. Tellez was considered an almost impossible sign. The past administration did very well in mid and later rounds and very poorly in early rounds imo. The PA wanted limitations on the draft to make sure more money was spent on the players, less on the draftees. Cutting the draft would have zero impact on that. There's always places to spend excess dollars, like the Asian market. Having fixed slot money would be bad for the player agents and I can't imagine why the PA would go after the agents. Oh the players wouldn't push for hard caps for each player drafted but the owners might as it would make it impossible to negotiate and would cut the legs out from some of the super-agents who many owners hate. The PA might allow it as it doesn't affect current members only future ones and most current ones would not be adverse to seeing less money to rookies and more to long term vets via a higher minimum salary or earlier free agency or no compensation for signing free agents or even being given a cookie I suspect. Same with an international draft and limits on bonuses for those players. If the PA is smart they'll push for expansion (2 more teams = 50 more jobs) and an increase in minimum salary. If it takes an international draft and hard caps on rule 4 draftees then so be it. People forget half the people drafted and signed are Seniors. There are a lot of jobs for experienced players to fill and they fill them. Two more teams would requires more minor teams as well, so more draftees, not less. 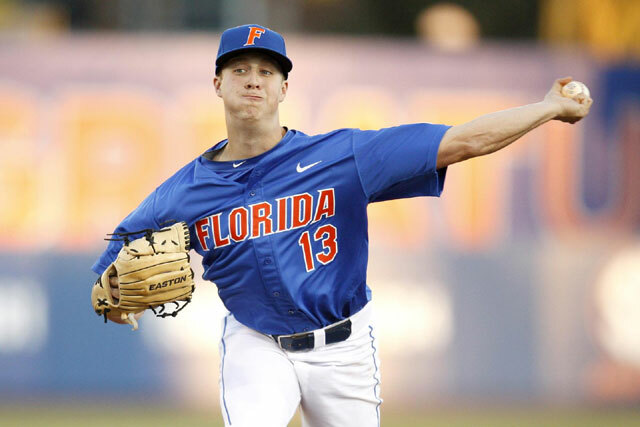 Well for day 3 there are 2 top 50 picks left - Jared Horn (34) RHP out of high school, Drew Mendoza (36) 3B in high school. 6 more top 100 guys still on the board too. 3 LHP, 2 RHP, and a catcher. Only 1 wasn't in high school this year. These are probably all hard to sign guys who I hope the Jays chase down today with rounds 11-40 as losing them only costs the pick, not bonus money. Rounds 11-40 tend to be low risk as in the 11th round the Jays have only ever picked 2 guys with positive WAR lifetime, none reached 3. Round 12 is highlighted by Doug Mientkiewicz who wasn't signed. 13th is Ted Lilly (DNS), and Alex Gonzalez the first, 14th is Brandon Lyon, 15th has two interesting guys in Drew Hutchison and Danny Ainge (yes, the basketball player who did reach the major with the Jays and sucked). 16th best is Dalton Pompey. 17th Reed Johnson, 18th Kris Bryant (DNS), 19th Bob File, 20th has the 'holy crap' player of this batch in Jeff Kent. So swinging for the fences in rounds 11 and beyond is a very good idea as some quality is there but not a lot. The past administration did very well in mid and later rounds and very poorly in early rounds imo. Because of the unsigned picks? That idea was debunked earlier in the thread. Just a quick comp of ALE fWAR produced in the 2010-2015 drafts (the AA years) in the first five rounds. The ALE has had some of the best front offices in the game over this period. Boston and Toronto both have a lot of good minor league prospects in their system (or other teams systems, in the case our our drafts- Norris, Woj, Nicolino, Musgrove, Hoffman, etc). Time will tell on his last two drafts, but the AA regime was exceptional at deriving value from all avenues in the draft - early / mid / late rounds, FA comp, overslot signings, trade resources. Most heartening to me about our current draft is it seems that Brian Parker's team has been largely left to do their thing. Props to Shapiro / Atkins for not messing with a strength.